Hello, I’m Gwen Barr, a Cognitive Hypnotherapist based in the beautiful town of Kirriemuir in Angus, Scotland. - Do you feel something is holding you back? - Do you want to be different but don’t know how? My passion is helping you resolve these questions in a way that can transform your life. It doesn’t matter who you are, or how old you are. Everyone is different, and in therapy we know one size doesn’t fit all. 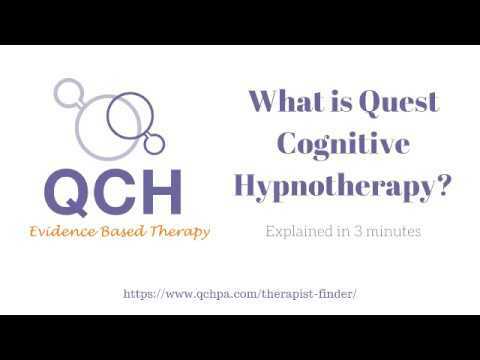 That’s why, as a Quest Institute trained Cognitive Hypnotherapist, I am trained in a range of skills and techniques – including Hypnotherapy, Neuro Linguistic Programming (NLP) , and Life Coaching. My approach is based on highly personalised support. Just as your needs are unique, you will receive tailored sessions that get to the heart of what you want to change. Therapy is a partnership. We work together, using cutting edge techniques to make a profound difference in the way you think, on an unconscious level. The result is enhanced understanding of yourself and your capabilities. I’ve built my practise around creating a safe, non-judgemental environment for my clients. I love what I do; it’s a privilege to help people overcome their challenges, to find strength, to be happier than they thought possible. Whatever the issue you’re facing, however long you’ve lived with it, you deserve a lasting resolution. I am committed to helping you find it. In fewer sessions than you may think, we can find solutions to your problems, and you can make lasting change. So if you’re ready to make changes and you would like to know more about how Cognitive Hypnotherapy can help you, please get in touch for a no obligation consultation to discuss what you would like to achieve and how hypnotherapy can help you achieve it. NLP (M Prac): Master practitioner of Neuro-Linguistic Programming. CNHC (Acc): I am on the CNHC'S Accredited Register. (Complimentary & Natural Healthcare Council). I offer a free telephone or email consultation prior to any commitment to establish how I can help you and give us a chance to decide if we want to work together. This also means that you can secure your desired sessions in the diary. I recently received this email from a lovely client who wanted to share her courageous decision to face her biggest fear.... and conquer it! I hope when you read through her words, you can hear how limiting her life had become and how life doesn't have to be that way for anyone. Having your first baby changes you in so many ways..... Your outlook on everything is completely different, you realise what is important in life and you have an overpowering amount of love and desire to the best by your new precious bundle. At 36, motherhood brought to light a phobia I had been living with since childhood........claustrophobia. Over the years, claustrophobia had limited me in so many ways, the main one being my inability to get in a lift. I would ALWAYS take the stairs and spent one holiday on a cruise ship climbing 13 flights of stairs daily to get from our cabin to the top deck, just to avoid the lift. I would get a cold sweat going anywhere new until I knew that there were stairs for me to climb. Unfortunately, a pram is a rather large limitation for most flights of stairs and so, I decided that i had to try to get some help with facing my fears. I contacted Gwen Ritchie to chat about my situation and her positivity from the start gave me confidence that I actually may be able to make some life changing differences. I went for 3 sessions of Cognitive Hypnotherapy where we addressed my fears and Gwen set out to change these for me. On my 3rd session, we went to a local cafe and worked on getting me in their lift. I was astonished that I managed to do this and actually felt really good about being able to do so afterwards!! From there, I went from strength to strength and used a lift as often as I could. I challenged myself to use every lift I came in contact with......and I managed! Gwen has changed my life with only 3 sessions......I can now take my daughter out in her pram and go anywhere! No longer do I have any limitations and I cannot thank Gwen enough for her kindness, her patience, her hard work and the empathy she had for the severe claustrophobia that I used to suffer!